Cairo and Luxor two days excursion by land and sleeping train includes visits to the most famous sights in Egypt. Let's visit Sphinx and the Pyramids, Queen Hatshipsut temple and Valley of the kings, Huge temples of Karnak and Memnon colossi. 21:00 pm Pick up you from your hotel in Hurghada. Transfer to Cairo up to 5 hours. Meet with our English speaking guide upon arrival. 23:45 pm In the morning upon arrival meet with the guide. The Valley of the Kings. Visit 3 different tombs which are open to public. Optional visit to King Tutankhamon real or fake tomb is available. Please inform our guide. Visit to huge Karnak temples. Optional visit to Luxor temple. Pick up and drop off from and to your hotel in Hurghada. Transfers by air conditioned van in Cairo and Luxor. Valley of the kings, Karnak temple and Queen Hatshupsut temple. 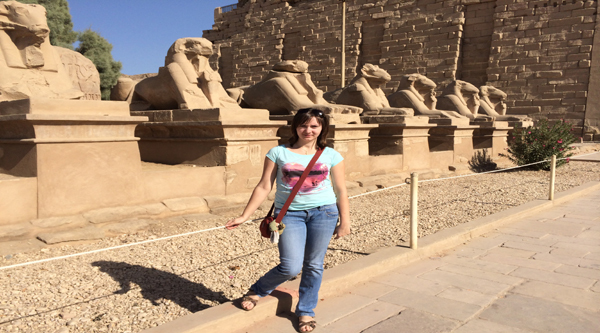 Professional English speaking Egyptologist tour guide in Cairo and Luxor. Optional activities not listed in the program. Our two days trip to the most famous ancient cities in Egypt will start with early pick up from your hotel by a comfortable a/c bus. We do pick up from any hotel in Hurghada. The bus journey may take up to 6 hours, so we will have some stops on the way. Do not forget to pick up your breakfast box from your hotel reception before traveling to Cairo. Upon arrival in the city, our English speaking guide will meet you and you will start the excursion. Let's fist visit so called The National Egyptian Museum or Egyptian Museum of Antiquities, situated on Tahrir square and built more than 100 years ago by a French architect. The museum hosts many collections of ancient pharaonic history and the most famous Tutankhamen collection including golden mask and coffin. We will spend around 2,5 hours exploring all the collections of the museum. Then enjoy with sailing along the Nile on a small boat, watch the city form the Nile, get warm breeze and live the moment. The Nile boat ride will take up to 45 minutes. Lunch will be offered in a local restaurant on set menu basis where you can choose between options available. Vegetarian options are also available. After the lunch we will continue our tour and move to Giza to discover one of the seven wonders of the world: The great pyramid of Cheops. We will visit other pyramids of the area as well: the pyramid of Chephren and the pyramid of Mycerinus. We will end our tour in Pyramids area after visiting Sphinx and its valley temple. At the end of the day transfer to the train station to catch your night sleeping train to Luxor. You will spend a night in a comfortable cabin for 2 people only. In Luxor our professional English speaking tour guide will meet you and you will have time to get your breakfast (not included, paid extra) after transfer by air-conditioned van to the west bank of Thebes. The West Bank of Luxor is known as the city of dead. It is the funerary complex of the ancient Egyptians. Here you have the opportunity to let go off anything that has died and no longer serves you using the power of the god Anubis, jackal headed god of the underworld. Explore the cycles of birth, death and rebirth which are rooted in Ancient Egyptian mythology. Valley of the Kings is the ancient cemetery of the pharaohs of the New Kingdom and is hidden in the mountains on the West Bank of Luxor between the two limestone hills of Gurna. It was named by Francois Champollion as Valley of the Kings. All of the tombs were robbed in antiquity, except for the tomb of the boy king Tutankhamen which was found completely intact in 1922 by Howard Carter. The Valley of the Kings holds 63 registered tombs and recently 2 more tombs have been found. 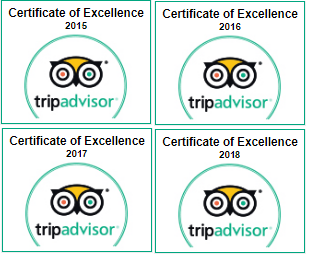 Your visit includes entry into 3 tombs, however if you wish to see either the tomb of Tutankhamen or Ramses 6, there is an additional ticket cost. Queen Hatshepsut temple or Deir el Bahari temple. is a mortuary temple with a unique design as it is the only temple in Egypt built in terrace formation into the cliff face. Queen Hatsheptsut was a famous female pharaoh who wore a false beard and all the trappings of the male pharaohs in order to claim the throne for herself. There are chapels dedicated to the goddess Hathor the goddess of motherhood, joy, love, peace, happiness and music, and chapels dedicated to Anubis, the god of mummification and death, and Amun-Ra the king of the gods. On the temple walls are reliefs showing the first commercial trading expedition to Somalia (ancient land of Punt). Colossi of Memnon are the only remaining standing statues fronting the mortuary temple of Amenhotep III and show the pharaoh sitting on his throne. The temple itself was destroyed in an earthquake and much of the ruins were used in other building works by other pharaohs. However, in recent years, new excavations have revealed many statues and other artifacts buried underground, including many statues of the goddess Sekhmet. Karnak temple is the largest ancient temple complex in Egypt measuring 62 acres. It was in use continuously for 1700 years. The main temple area was dedicated to Amun-Ra, the patron god of Luxor and it has the largest Hypostyle Hall (columned hall) in the world which is unrivaled. 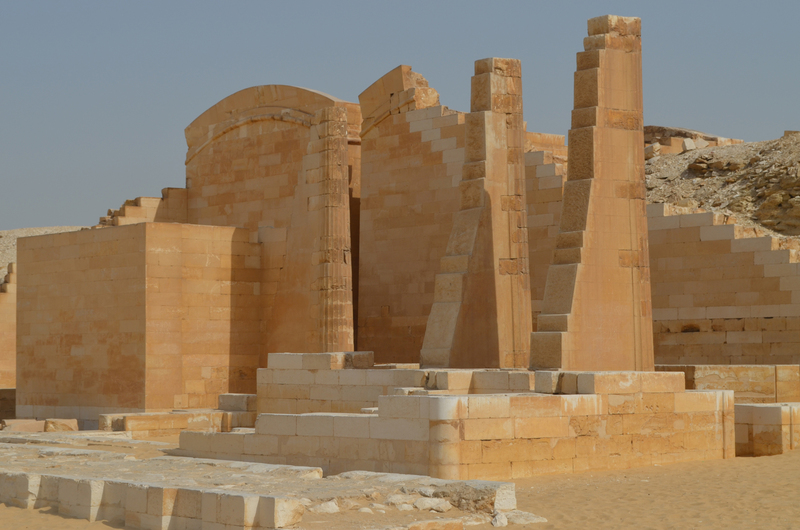 Within the complex is the small chapel dedicated to the goddess Sekhmet and the chapel of the Divine Adoratrice which is often known as the Osiris chapel. Karnak Temple complex is one of the major sights of Ancient Egypt and within its bounds the sacred energies of Ancient Egypt can still be felt. During the day you will also have a great opportunity for shopping in markets of Luxor. At the end of the day when we finish our program transfer to Hurghada by a private a/c vehicle.